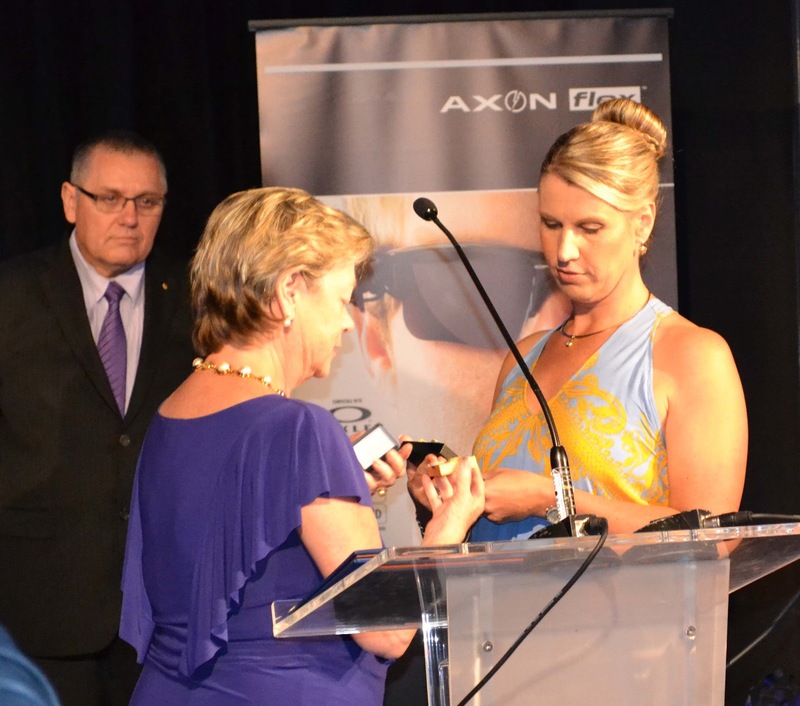 During the 2012 Rotary NSW Police Officer of the Year Awards, the Rotary Club of Sydney recognised Samantha Barlow for her outstanding contribution to the community of NSW and the NSW Police Force. About 5.30am on the 13 May 2009 Sergeant Samantha Barlow began walking from Rushcutters Bay to Kings Cross Police Station to commence work. During the course of her journey Sergeant Barlow was savagely attacked by a drug addicted miscreant who repeatedly struck her head, face and hands with a brick whilst she attempted to protect herself. Sergeant Barlow was robbed of her personal property and left to die suffering grave, life-threatening injuries. After the attack Sergeant Barlow crawled to a nearby bus shelter where she remained until discovered semi-conscious, bleeding profusely and unrecognisable to her colleagues. Sergeant Barlow’s injuries placed her life at immediate risk and saw her surgically induced into a coma to alleviate swelling of her brain. Sergeant Barlow suffered several fractures to her skull rendering brain damage likely; a broken finger that she had placed in harm’s way whilst defending herself from attack; lacerations to her forehead and fractures within her face. She remained in a critical condition at St Vincent’s Hospital until she regained consciousness almost one week later. Beyond surgery, Sergeant Barlow lost her sense of taste and smell. After approximately 22 months of physical and psychological rehabilitation, Sergeant Barlow returned to the profession of operational policing as a supervisor within the Surry Hills Highway Patrol. In this position Sergeant Barlow contributed as a competent and well respected supervisor of Highway Patrol police, with her return at all times driven by overwhelming determination and against all medical odds. Sergeant Barlow demonstrated courage, bravery and resilience of the highest order to expose personal qualities that reflect the ideals of policing. Unfortunately Sergeant Barlow was forced to relinquish her operational capacity upon medical advice, effectively ending her promising career on 16 August 2012. Sergeant Barlow has become an ambassador for all people suffering injuries, whether physical or psychological. Her message is that whilst the road to recovery is not an easy one, it is achievable with the right mix of courage and dedication. Tonight the Rotary Club of Sydney recognises Samantha for her outstanding contribution to the community of NSW and the NSW Police Force. Samantha exemplifies the Rotary Motto of ‘Service above Self’. It is this aspect of selflessness and community service that is synonymous with Rotary values making Samantha Barlow a worthy recipient of the Paul Harris Fellow for 2012. * What is a Paul Harris Fellow? Firstly, they are named after the Founder of Rotary, Paul Harris. Individuals who have contributed more than $1000 to the Annual Program Fund, the Polio Plus Fund or the Humanitarian Grants Program of the Rotary Foundation are recognised as Paul Harris Fellows. Additionally, individual Rotary clubs may from time to time honour individuals as Paul Harris Fellows. They may be individuals who meet high professional and personal standards set forth by Paul Harris. Paul Harris recognition is not limited to Rotarians. Paul Harris Fellow receives a special certificate and a gold pin.